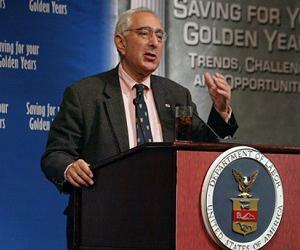 Ben Stein is an American writer, actor and lawyer. This biography of Ben Stein provides detailed information about his childhood, life, achievements, works & timeline. Ben Stein (Benjamin Jeremy Stein) is an American writer, actor and lawyer, best known as an Emmy Award-winning game show host. After graduating with a law degree, he began his career as an economist at the Department of Commerce, in Washington, D.C. Then he became a trial lawyer at the Federal Trade Commission and also served as a professor at the American University. His teaching profession brought him to the University of California where he taught political and civil rights under the Constitution. Later with the help of his editorials, he became a speechwriter and lawyer for President Richard Nixon and President Gerald Ford. 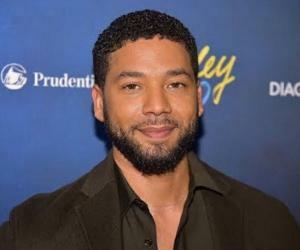 Eventually he became a Hollywood consultant, helping liberal writers portray a conservative family on television, and then moved on to act in commercials and movies. He excelled at playing bland and unemotional characters, and was subsequently typecast into many roles, mainly as a nerd. His deadpan monotone deliveries were a new and fresh contrast to the typical overly excited personalities in commercials. An American attorney, former game show host, actor, former political speechwriter, law professor, economist, author, and columnist, he is widely considered as the funniest Republican in Hollywood. He was born on November 25, 1944 in Washington, D.C., United States, to Herbert Stein, an economist and presidential adviser, and his wife, Mildred Stein, a homemaker.He has a sister, Rachel Stein, who is a writer. He received his early education from the Montgomery Blair High School, Silver Spring, and graduated in 1962. Then he got enrolled at the Columbia University and majored in economics in 1966. 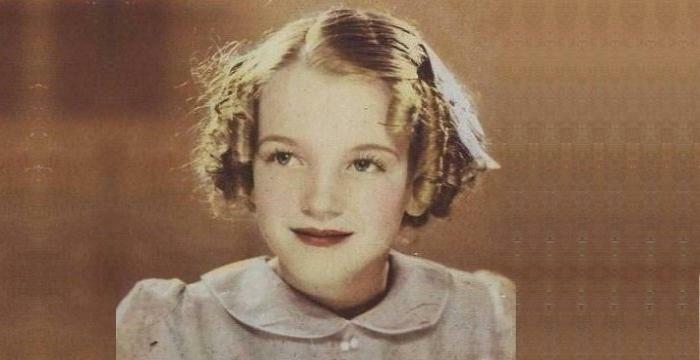 Later, he attended the Yale Law School and graduated in 1970 as the valedictorian of the class. While earning his law degree, he also studied drama and strongly protested against the United States' involvement in the Vietnam War. After graduation from the law school, he started his career as a poverty lawyer in New Haven, Connecticut and Washington, D.C. and later joined as an attorney with the Federal Trade Commission. Shortly after, he moved to California to teach film and law classes at the University of California. In 1973, he returned to Washington and resumed his job at the FTC. As the Watergate scandal unfolded, he wrote editorials in defense of President Richard Nixon. When the articles caught the attention of the Nixon administration, he was recruited by Pat Buchanan. He began his political career as a speechwriter and lawyer for President Nixon and later for President Gerald Ford. 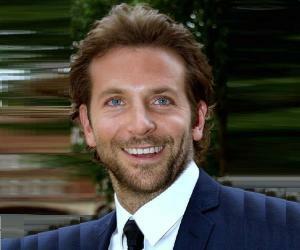 In 1984, he made his big screen debut in the role of a surplus salesman in the movie ‘The Wild Life’. His film career received a boost from his famous cameo role as the colorless and boring economics teacher in the 1986 cult movie ‘Ferris Bueller's Day Off’. 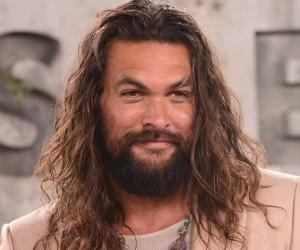 His other film appearances include character roles in ‘Ghostbusters II’ (1989), ‘Dennis the Menace’ (1993), ‘Casper’ (1995), ‘House Arrest’ (1996) and ‘Son of the Mask’ (2005). He also did voice works for several movies such as ‘Rugrats’, ‘Hercules’, ‘The Emperor's New School’ , ‘King of the Hill’ and ‘Santa vs. the Snowman 3D’. Some of his notable TV appearance were playing the roles of Rabbi Goldberg on ‘Family Guy’, Dr. Mopp on the ‘Hughleys’, Sam Hinkle on ‘Total Security’, Shellbach on ‘Seinfeld’ and Thomas on ‘Married with Children’. He had a recurring role in the TV series ‘The Wonder Years’ (1989-91). He is also a notable author, an accomplished writer of both fiction and non-fiction books. His fictional works include ‘On the Brink: A Novel’ (1978), ‘Dreemz’ (1978) and ‘Her Only Sin’ (1986). Some of his non-fiction books are ‘The View from Sunset Boulevard: America as brought to you by the people who make television’ (1979), ‘How to Ruin Your Life’ (2002), ‘How to Ruin Your Financial Life’ (2004), ‘Yes, You Can Be a Successful Income Investor: Reaching for Yield in Today's Market’ (2005), ‘The Real Stars: In Today's America, Who Are the True Heroes?’ (2007) and ‘How To Really Ruin Your Financial Life and Portfolio’ (2012). He continues to write on a variety of topics including politics, investing, and economics. He writes a regular column in the conservative magazines ‘The American Spectator’ and ‘Newsmax’. He has also written for numerous publications including ‘The Wall Street Journal’, ‘The New York Times’, ‘New York Magazine’ and ‘Penthouse’. In the 1986 classic film ‘Ferris Bueller's Day Off’, he appeared in an unforgettable cameo as a monotone Economics teacher who, while calling out students' names for attendance, uttered one of the film's most famous quotes: "Bueller? Bueller? Bueller?" In 1997, he hosted his own game show titled ‘Win Ben Stein's Money’ offered to him by the Comedy Central. The show won seven Emmy awards before ending its run in 2003. In 1999, he received the ‘Daytime Emmy Award for Outstanding Game Show Host’ along with his co-host, Jimmy Kennel, for their game show ‘Win Ben Stein's Money’. In 2003, he was awarded a Pro-Life Award by the National Right to Life Educational Trust Fund for his efforts as an opponent of the legalization of abortion. He was honored with the ‘Freedom of Expression Award’ at the Entertainment Merchants Association's Home Entertainment Awards for "his outspoken economic and political beliefs” in 2008. In 1968, he married Alexandra Denman, an entertainment lawyer from Arkansas. But, the couple divorced in 1974 only to get re-married to each other three years later in 1977. The couple adopted a son, Tommy Stein, in 1987.